KUALA LUMPUR, May 8 — The Chinese were misled into thinking a Pakatan Rakyat-led (PR) government would spell the end of special rights for the Malays and Bumiputeras, senior Umno politician Datuk Seri Mohamed Nazri Aziz has said as he joined his peers in describing Sunday’s “Chinese tsunami”. The Padang Rengas MP insisted that the “tsunami” suggested by Prime Minister Datuk Seri Najib Razak had been very real, as it was clear from the polls outcome that the Chinese community had “voted along racial lines”. “Let’s call a spade a spade. It was very obvious they voted along racial lines. I am not going to be apologetic about that fact. “But what I am saying is that they were misled, many among these first-time voters were also naive... thinking that they can topple BN and thinking that the special rights for the Malays and the Bumiputeras will be abolished,” he told The Malaysian Insider in a phone call yesterday. But Nazri said this would not be the case as the Malays in PAS or PKR would not have dared amend the Constitution for this purpose. He said despite claiming to be a liberal leader and a believer of equal rights for all, leaders like Datuk Seri Anwar Ibrahim would never dare to be “the prime minister who abolished Malay and Bumiputera rights”. “Ask him and see. None of them would dare to do this. So the Chinese were misled. This is where they went wrong,” he said. Nazri, who once famously declared himself “Malaysian first and Malay next”, pointed out that despite his appeal to voters across all races, even he had lost badly in polling stations with big numbers of Chinese voters. “And I am the most Malaysian of all Malay politicians. So you can see that the tsunami was very real,” he said. 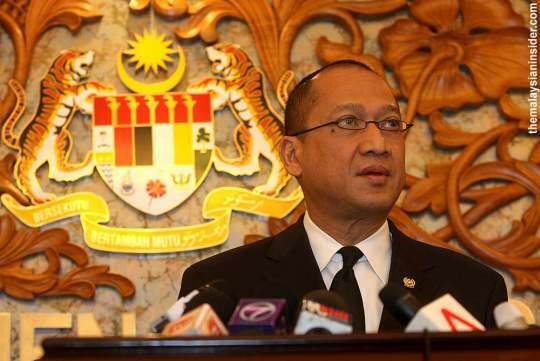 Nazri stressed, however, that there should be no witch hunt against the Chinese or any demand for the community to be punished for voting against the BN. Instead, the senior leader said BN must go ahead with its plan for national reconciliation and work harder to convince the Chinese of its inclusiveness. He acknowledged that a few of his peers had responded angrily against the Chinese but urged for calm, saying it was natural to feel frustrated. “They lost and they felt they had done a lot for the community. They are entitled to some disappointment. “Give them a cooling (off) period... don’t take their reactions as something that will be translated into policies made by the government,” he said. In the aftermath of his loss, former Malacca chief minister Datuk Seri Ali Rustam called the Chinese “ungrateful” for rejecting BN despite his contribution to the community. BN successfully recaptured federal power in Election 2013 but with a reduced seat majority of 133 to PR’s 89, failing in its bid for a two-thirds majority in Parliament. A preliminary study of the poll results saw that a greater number of Chinese voters, both in rural and urban areas, backed PR this time, in comparison to Election 2008. Najib immediately called this a “Chinese tsunami” but drew criticism for the label, which his detractors said would only worsen racial polarisation here. Umno’s Utusan Malaysia yesterday front-paged the question “Apa lagi Cina mahu? (What else do the Chinese want?) in what appeared to be an attempt to shape the results of Election 2013 as a Chinese-versus-Malay vote. But analysts disagreed that it had simply been a “Chinese tsunami” that caused BN to bleed seats this time, but a major swing in the urban and middle-class electorate that saw Malaysia’s urban-rural rift widen.